SOUTH OZONE PARK, NY – Repole Stable’s Always Shopping took control at the top of the stretch and took off en route to an impressive maiden-breaking effort in Sunday’s $100,000 Busanda Stakes at Aqueduct. Breaking from the rail under Manny Franco as the 2/1 favorite, Always Shopping was content to settle in midpack early while Filly Joel shot to the early lead through opening fractions of :23.91, :48.52, and 1:13.34. Heading into the far turn, Always Shopping began moving while still along the inside before Franco tipped her out near the top of the stretch. Straightened for home within striking range of the pacesetter, Always Shopping collared her near the final furlong marker, then put forth a steady grinding effort to clear away late. The Todd Pletcher trainee crossed the wire with a 1 1/4-length advantage in a final time of 1:52.54 for the 1 1/8-mile event over the fast main track. Though unable to keep the eventual winner at bay, Filly Joel ran strongly enough to hold second by a wide margin over Afleet Destiny, while Miss Marilyn was further behind in fourth. Discreet Sister necked out Lady Banba for fifth, while Getting Warmer, Floss Dancer, and Destiny Over Fate completed the order of finish. Elegant Zip and No Mo Lady were scratched. 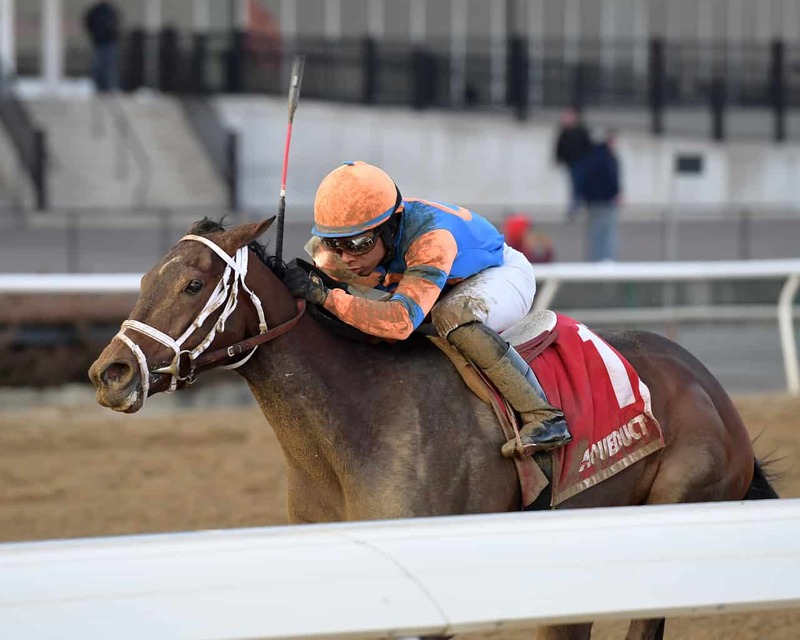 The Busanda is part of the Road to the 2019 Kentucky Oaks prep race season. Always Shopping earned 10 points for the win, with Filly Joel receiving 4 for second, Afleet Destiny 2 for third, and Miss Marilyn 1 for fourth. Always Shopping’s win improved her record to 4-1-2-0 with $87,000 in earnings. The 3-year-old daughter of Awesome Again is a half-sister to Mo Shopping, a 4-year-old stakes-winning filly also homebred by Repole Stable and trained by Todd Pletcher. Always Shopping returned $6.30 to win, $3.30 to place, and $2.60 to show. Filly Joel brought back $3.70 to place and $2.60 to show, while Afleet Destiny paid $3.10 to show.